Incredible cow! Friendly, colorful, productive and motherly. 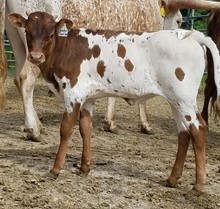 Lucky's Spot is everything you could want in a longhorn cow. We have have her confirmed bred to RJF Frostbite. Incredible cow! Friendly, colorful, productive and motherly. 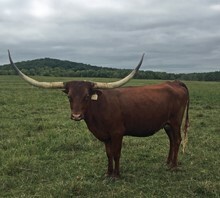 Lucky's Spot is everything you could want in a longhorn cow. We have have her confirmed bred to RJF Frostbite. Consigned to the Fey Sale in June.